Apart from Cresswell Craggs, the most visual ancient sites in Nottinghamshire area series of camps or earthworks lying on a keuper scarp between Burton Joyce and Farnsfield. 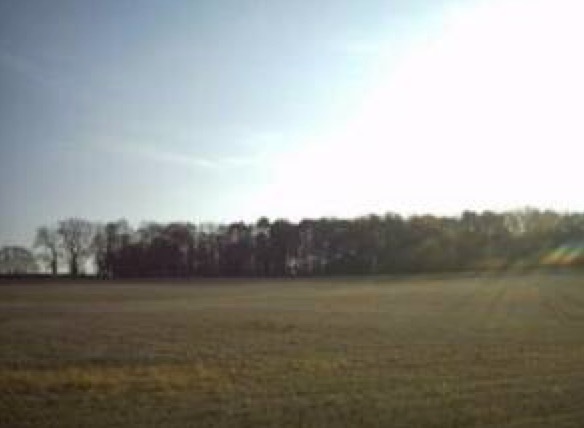 Archaeological evidence is not conclusive but it is generally thought that these sites represented Iron Age hill forts. One such site is at Fox Wood, an area located between the tops of Bonner Hill and Georges Hill, between the villages of Calverton and Woodborough. Foxwood contains traces of an earlier community. It is possible that a small farmstead existed there within a bank and ditch defence during the years preceeding the Roman occupation. Stone footings of a circular hut indicating an Iron Age settlement were uncovered within the earthen ramparts in 1946. One can imagine the farmer harvesting his crops below Foxwood much as today. Later the village of 'Woodburgh' would take its name from this early settlement. Another pre-Roman site has been discovered at Oxton, and the fact that the Dover Beck has a Celtic name suggests that there was a community of Celt speakers in the area. 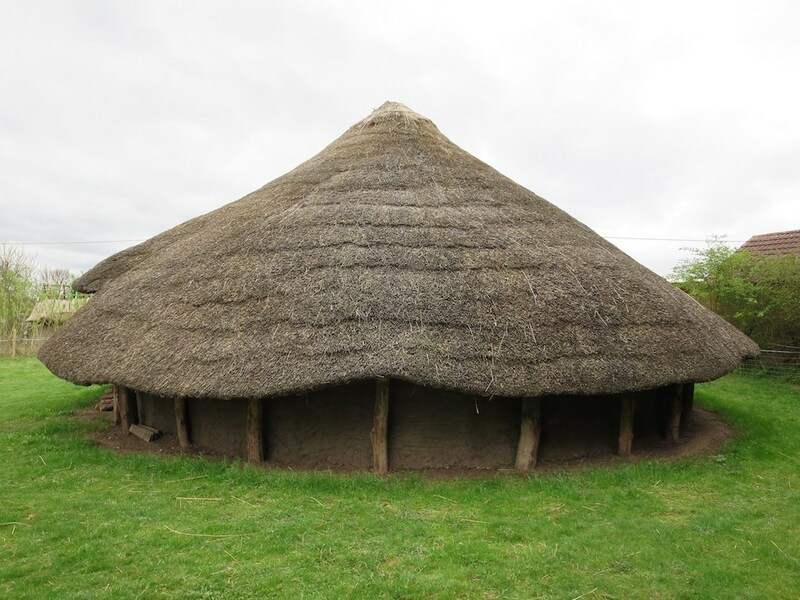 In 2007, Calverton villager Grahame Watson, decided to create his very own Iron-age "Roundhouse" - the project would take 170 days over 18 months to complete. 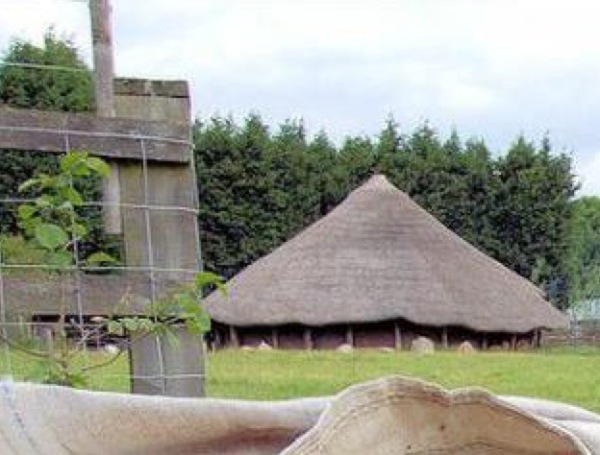 ​​Made from wattle and daub - the structure, above right, measured an incredible 25 foot high with a width of 32 feet. 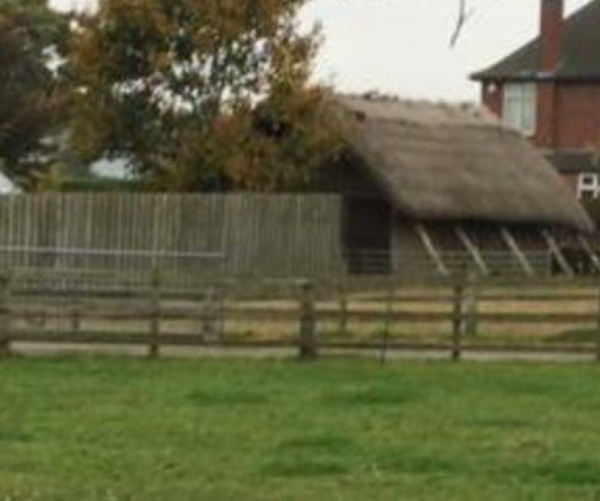 The wattle and daub consists of two parts sandy soil, one part horse manure, and a sprinkling of horse hair all mixed together with hay and straw. All of which was concocted by Grahame via a trial and error process.